Lights, music, action! Santa’s Enchanted Forest Kicks off its 34th season with its annual Tree Lighting Ceremony and NEW Christmas Tree Light Show Spectacular. Feel the spirit of the holiday season come alive as you delight in the lights and sounds of South Florida’s largest Christmas tree (90 ft. tall!). 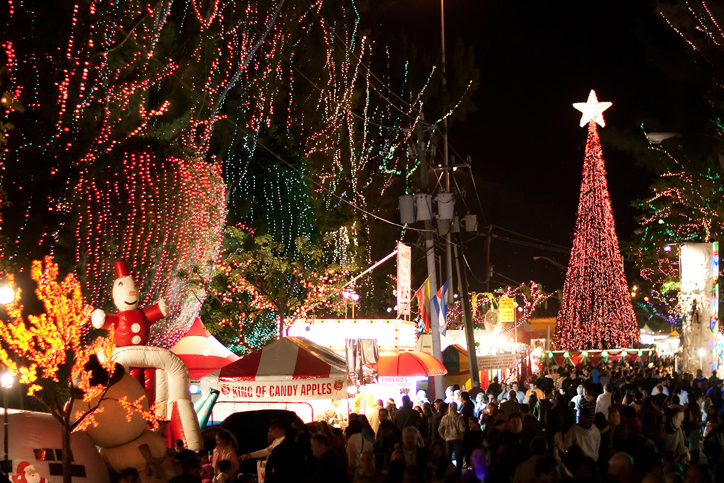 Tis the season to dive into holiday fun at Santa’s Enchanted Forest! Smile at the decorations and lights. Scream aboard thrilling carnival rides. Munch on delicious goodies. Repeat the joy with a season pass! There’s so much to do at Santa’s Enchanted Forest that you can see and experience something new with every trip you take to the park. In honor of the World’s Largest Holiday Theme Park celebrating its 34th season, here is a countdown of 34 reasons to purchase your season pass. Heading to Santa’s Enchanted Forest? Don’t forget your camera!